Dancing in the Rain: Kids Love Moms Who Blog! Kids Love Moms Who Blog! 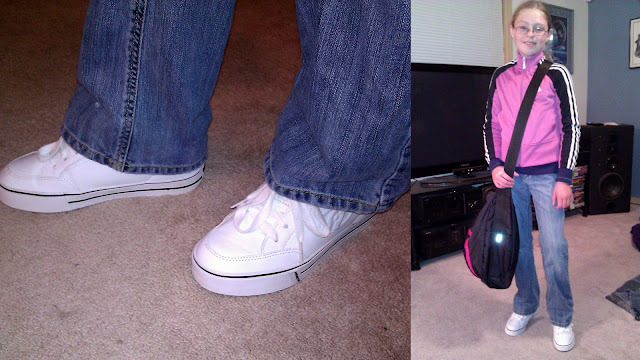 My daughter, Camryn, has been wanting a pair of Heelys since she first saw them. What? Years ago now? You know, the shoes with wheels in the heels? I've always said, Eh, you can live without them. Even though OBVIOUSLY shoes with wheels can't be anything but fun. 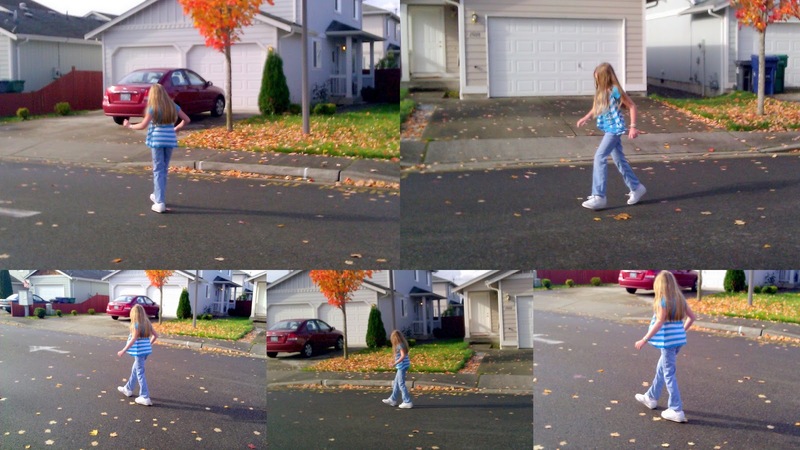 Then I got this opportunity as a blogger to review a pair of Heelys. Or rather, have my daughter review them. I knew they were coming and didn't tell her. Surprise adds to the excitement. I ordered her a pair of white Wave Heelys. I chose the white solely because she didn't currently have a white pair of shoes (and she's no longer into pink). But there are several other colors. Here is Camryn sporting her pair of Wave Heelys WITHOUT the wheels (for school). They're high quality, good looking shoes! Now, Camryn is a girl, and kind of a chicken one at that, so she was pretty goofy on the wheels at first. But after a little practice, she got the hang of being able to roll on down the street. There's some debate as to whether she should be wearing a helmet. The Heelys website has videos of people wearing them. Heelys even has a Responsible Skating Agreement. She's totally having fun, but apparently not doing it at all like she should. The Heelys YouTube channel is HERE. I know Camryn loves her Heelys! I know she thinks she's cool in them. She wore them to Girl Scouts and made each of her friends watch her roll around the room. My son AJ, on the other hand, is green with envy. If you have more than one child old enough for Heelys, I recommend you get them each a pair. And guess what? Heelys is throwing a Black Friday special. Between Nov 25-Nov 28, Buy any pair of Heelys, and get the second pair for $25. Or buy a Nano, and get a pair of shoes for $25, AND get free ground shipping on all orders! I freaking love free shipping! And you could be like a HERO to your kids this Christmas. I'm just sayin'. Disclaimer: Heelys sent me a free pair to try, review and keep as part of their 2011 Heelys Campaign for Blogger participants. They did not coerce me into saying anything in particular about their product. Everything I've written is my and my daughter's opinions. I mean, I suppose I could have gotten them for myself instead....but no. Because Cami looks cool in them. I don't think I would. Camryn is so cute, and she's a wiz in her Heelys. I love free shipping too. Wish I was agile enough to get a pair - I'm one of life's true pedestrians - don't drive, bike or skate. I found you via the NaBloPoMo blogroll. See you again soon. This is so awesome! The perks of being a blogger are really great and then to see them light up your child makes it even better! She is so cute wheeling around! My girls each have a pair of Heelys. They love them!! Camryn will become a pro before you know it! She is so cute. I might now get a pair for myself.